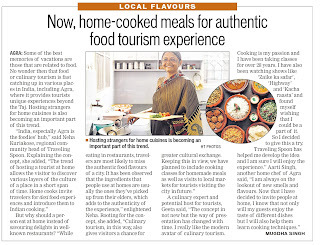 Culinary Tourism - for authentic food experience! 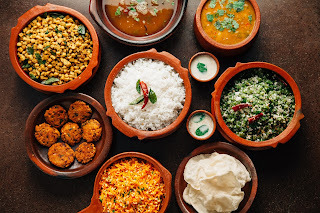 Next in my fall series, #MugdhaSaysFall, I am sharing this article on food. Technically it is not based on the season but it sure will give you that cozy feeling :) Read on! This post is brought to you by Traveling Spoon! I have their site link below.. make sure to visit their site to know more... they are absolutely wonderful! 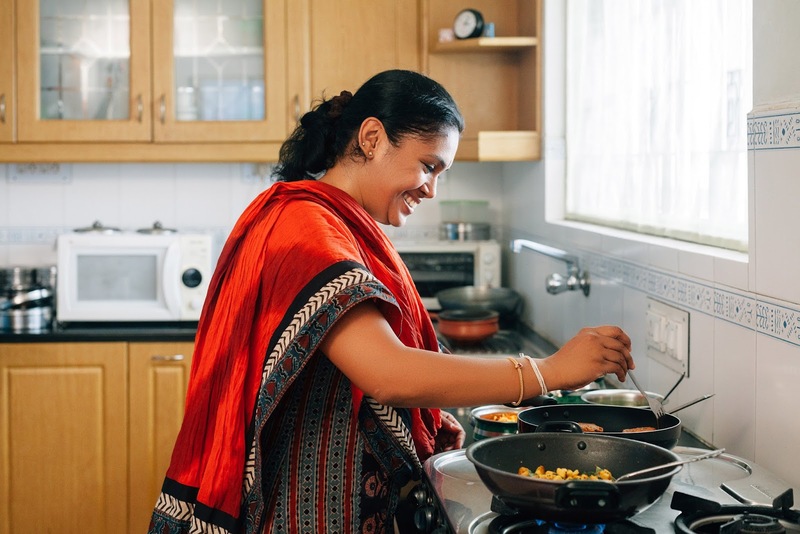 In words of Traveling Spoon - With over 150+ hosts in 36 cities in 16 countries, Traveling Spoon is now looking for home chefs in Agra who can showcase their culinary traditions with the world of travelers in their homes. Anyone who is passionate about food, is an amazing cook, loves to entertain and meet people from all over the world., is welcome to join our wonderful host community. Now that's what I know, experienced and written in my article... Lets start with the concept.. Culinary Tourism. Culinary Tourism is a new hype for tourists who are visiting Agra for beyond the Taj experience. 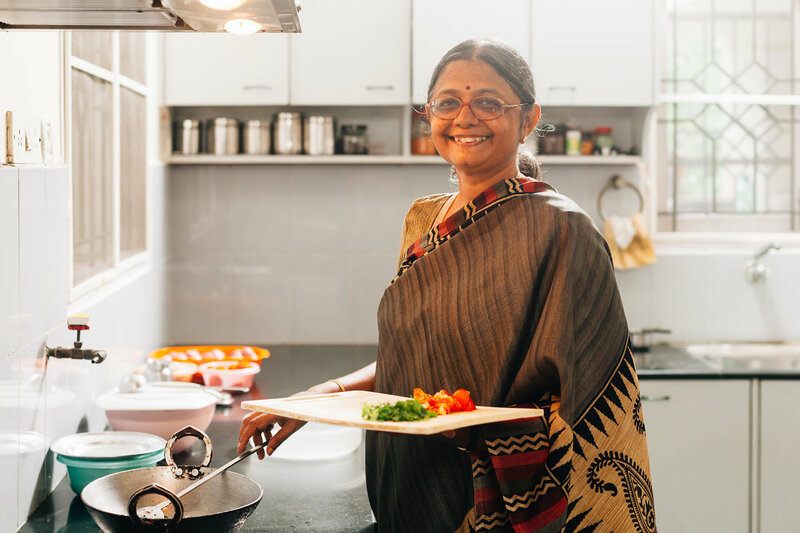 Traditional tribal mores of hosting strangers for home cuisine is also becoming part of the urban veins. Some of the most brilliant memories of vacations are often related with the food. When British decided to stay in India, they probably stayed for the food. A person could forget the place but if he or she enjoyed the platter, then it is hard for them to forget the place as well. “I have been watching shows like 'Zaike ka safar' , 'Highway' and 'Kacha raasta' and I always thought I wish I could be part of it. So I decided to give it a try. Traveling Spoon helped me to developed the new idea in the city and I am sure I will enjoy the experience,” said Geeta a potential host for many imminent tourists. “India, especially Agra is the foodies’ hub and soon the culinary tourism is to be introduced by our community,” informed Neha Kuriakose, the regional community head of Traveling Spoon. Neha affirmed that food of Agra is the second most important thing that can attract the global tourists. So why a person should eat at home, instead of eating in the restaurant, I asked. “While eating in the restaurants, travelers are most likely to miss the authentic food that a city can offer. 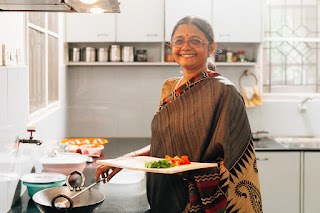 When a person cook with the ingredients that used to employ by their great grand parents then the recipe will turn out 100 percent authentic as compare to the restaurants,” added Neha. “Culinary tourism gives tourist a chance for cultural exchange as well. Along with the homemade meals cooking classes and a round of the local market was also given to the tourist so they can understand the basics at least,” explained Neha. The post is in article form, which I had written for Hindustan Times. Language is changed though! Sharing this article image for those who wanted to read the newspaper article! Did Beef Eaters Provoke You?